As the premier soil and gravel delivery service in Greenville, McLarry Sand and Gravel is delighted to offer a comprehensive soil and gravel delivery service that's guaranteed to meet your needs! From delivering top soil to distributing crushed asphalt, McLarry Sand and Gravel will help you complete your landscaping project! McLarry Sand and Gravel has the best option for all of your soil and gravel delivery needs. We offer various types of crushed rocks and top soils that are guaranteed to exceed your expectations! Here at McLarry Sand and Gravel, we treat every order as if we were delivering it to our own homes. We're delighted to assist you in your landscaping and construction projects, and our expert employees will ensure that your delivery is completed as soon as possible! Whether it’s an order for pea gravel or a contract for tractor work, contact McLarry Sand and Gravel today! Stop by and browse through our inventory and rest assured that your product will arrive exactly as you ordered it. Our phone lines are available twenty four hours a day. 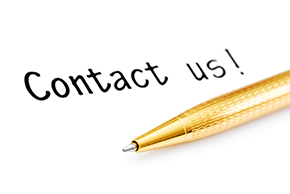 Don't hesitate, call us today! ​ Your expectations will be exceeded here at McLarry Sand and Gravel! We love what we do and what we help our customers accomplish! It's our mission to ensure that you're more than satisfied in your dealings with us! Your satisfaction is important to us, and you'll be amazed with the results! Contact McLarry Sand and Gravel today!